Just popping in real quick to share some exciting news. While I was at Embassy Ball at the end of August, I was interviewed by FloDance. They’re part of the FloSports network, kind of like an online ESPN. 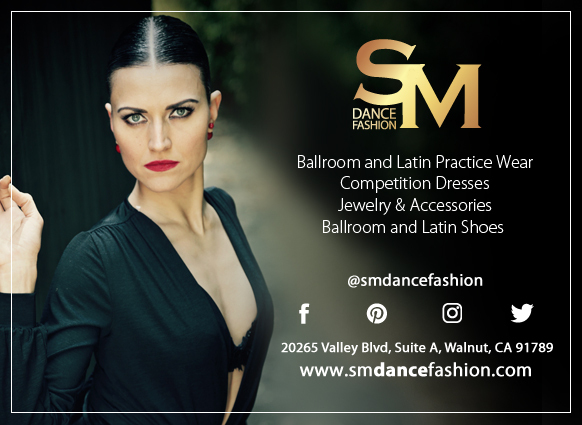 FloDance focuses mainly on ballroom dancing. They used part of my interview in the video The True Cost of Being a Dancer, but today, they released the video just about The Girl with the Tree Tattoo! Of course, I’m thrilled (after I got over my initial “Eeeeek! There’s a video about me! No one look!”) as well as incredibly grateful for the opportunity to share my story with another audience. Every day on this ballroom journey, I strive to stay true to myself, overcome my fears and doubts, and release the dancer inside me. I share that journey, with all of its ups and downs, in hopes that you’ll be inspired and encouraged to continue on your own journey. So be confident, be joyful, and DANCE! Birgit is a close friend who is responsible for introducing me to the dance studio I’ve trained at for nearly five years! The unimaginable happened to her last year, but as it turns out, life does go on. Read on to find out how she was forced to find life outside of dance. This month’s guest is a fellow writer/dancer who has explored a variety of partner dances for almost 20 years! Her latest passion is Argentine Tango, but from every style, she’s found another piece of the puzzle that is her true self. Ladies and gentlemen, please welcome Karen Kaye. 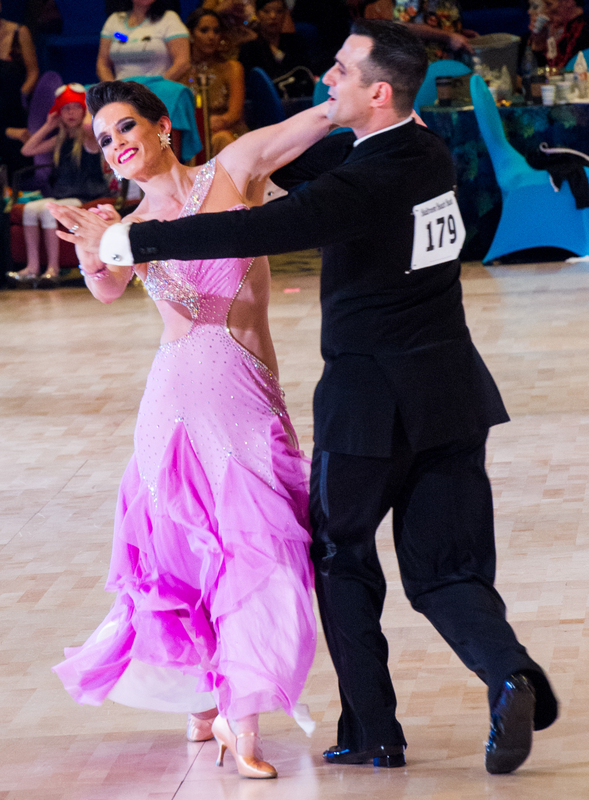 As follow-up to their joint interview in April, I had asked Elizabeth Thomson and Nicholas Barkley if they would be willing to do individual interviews and share more of how ballroom has impacted their lives. Liz shared her struggles with PTSD and how ballroom brought her back to life in May. Now, we get to hear from Nick! This month, I invited another dancer to write her own story. We met through Instagram of all places. Her Instagram account (@girlinthe_vans) is mainly videos of her dancing at a gym. No fancy costumes or glamorous settings. Just her, the music, and dance. The story behind these videos is full of pain and loss. But always, there was dance, ready to act as a lifeline when she reached for it. I met Mandy Mykitta, this month’s interviewee, at the Murdy Park community center in Huntington Beach, California. When I arrived, kids were outside playing on playground equipment and a game was in session on a basketball court while parents watched and chatted. Families spending time together outside? Imagine that! After a long day and getting stuck in traffic on the way to the interview, seeing some pure and simple positivity lifted my mood. When I first spoke with Nicholas Barkley and Elizabeth Thomson about doing an interview for the blog, I also proposed a second set of individual interviews. Their stories of how ballroom became the key to coping with their PTSD were incredible and deserved their own spaces, separate from their shared story of becoming an amateur couple. In my continued effort to bring you stories from other ballroom dancers besides me, I’m happy to introduce you to an American Smooth amateur couple, Elizabeth Thomson and Nicholas Barkley. They have backgrounds that you would not expect to find in ballroom and share an important message. This month, we get to learn how they got started in ballroom and formed their new partnership. Hi everyone! A little while ago, I was honored to be interviewed for the Dancing Housewife podcast. The episode aired today! We talk about the inspiration behind my Dance Diaries series (including my personal experience behind the infamous “Friendly vs. Friends” article), the origins of my tree tattoo, and of course, my ballroom dancing. You can listen to it on Google Play, iTunes or Podomatic. You can also access it directly on The Dancing Housewife’s blog.